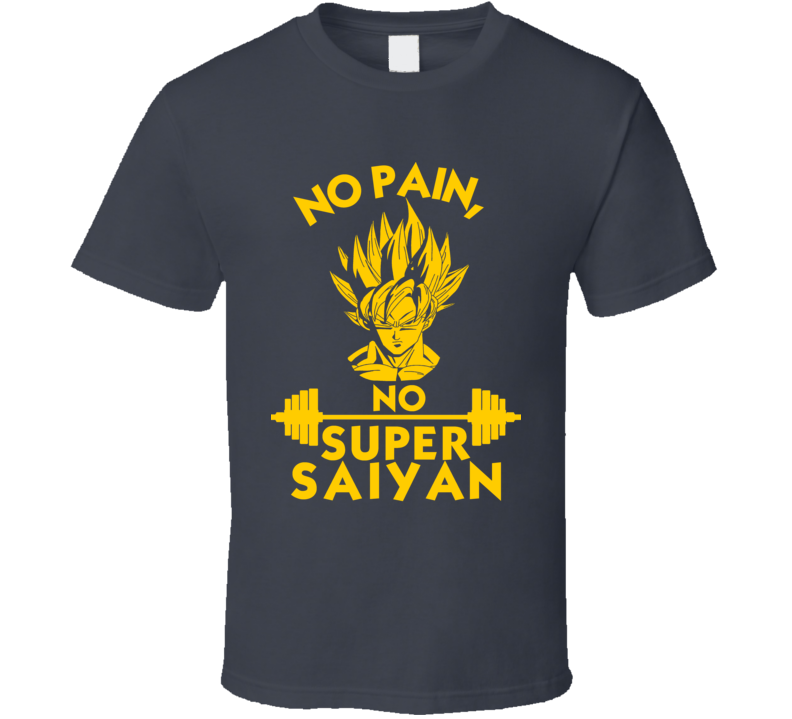 No Pain, No Super Saiyan Motivational Workout Gym Fitness Dragon Ball T Shirt comes on a Charcoal Grey 100% cotton tshirt. 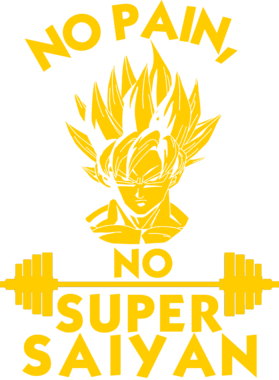 No Pain, No Super Saiyan Motivational Workout Gym Fitness Dragon Ball T Shirt is available in a number of styles and sizes. This Comic tshirt ships via USPS.